Perhaps best known as the “Spice Island,” Grenada is a Caribbean cruise destination filled with unique items designed to delight each and every one of your senses. Even before arriving at port, fragrant spices linger in the air, as if Grenada is personally inviting visitors to explore the island, including its local shops and plantations. Together with majestic views of rolling hills, the calming sounds of the sea, mouthwatering cuisine and the feeling of lush sand between your toes, you will certainly reminisce on your time in Grenada for years to come. 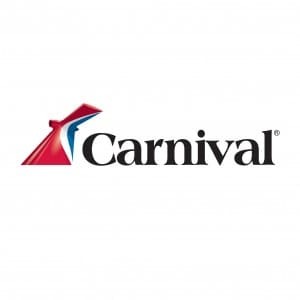 Whether you are searching for authentic keepsakes to ensure these memories stay fresh or simply curious about what to buy in Grenada, be sure to check out the following top 9 items you can buy in Grenada before setting sail. Grenada, the world’s second largest exporter of nutmeg, is chock full of nutmeg plantations. In fact, nutmeg is so prevalent in Grenada that you can actually smell it everywhere you go on the island. 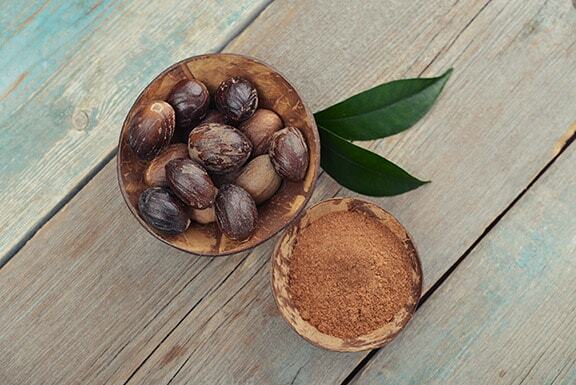 Because of this, nutmeg is dubbed as a must-have item for nearly everyone who visits the island. It can be purchased nearly anywhere and is available in a number of varieties, from whole nutmegs still in their shells to the more traditional ground spice. Nutmeg is also commonly incorporated into jams, syrups and oils. With immensely rich soil and a year-round tropical climate, the Spice Island has a variety of spices to offer other than nutmeg. 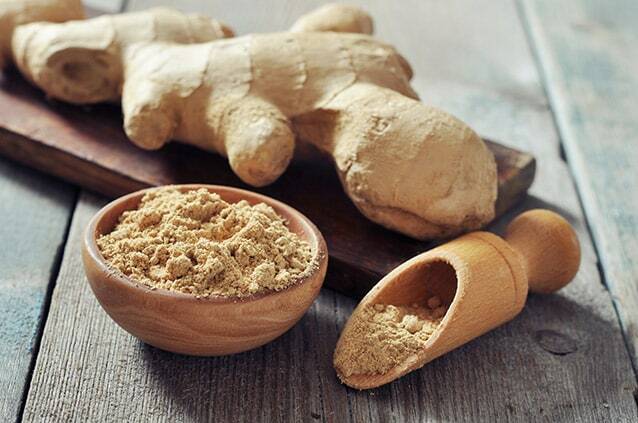 Ginger, is almost as prevalent as nutmeg on the island. It is frequently used in local cuisine, included in everything from curries and stews to jams and jellies. It’s even added to ice cream and fudge! Like nutmeg, it can be found throughout the island and is available in an assortment of forms, such as fresh leaves or ground roots. Along with a number of spices, Grenada also grows a large quantity of cocoa beans which in turn, the local artisans transform these cocoa beans into assorted gourmet treats. From unprocessed whole beans and organic dark chocolate bars to fine truffles, Grenada is as much a paradise for chocolate aficionados as it is for those seeking rest and relaxation. Assorted variety packs of chocolate make excellent gifts for your loved ones, while bars of your favorite Grenadian chocolate treats allow you to indulge in the rich cocoa long after your cruise has ended. Dubbed as a superfood for its high nutritional and antioxidant content, guava fruits thrive in the tropical Grenadian climate. 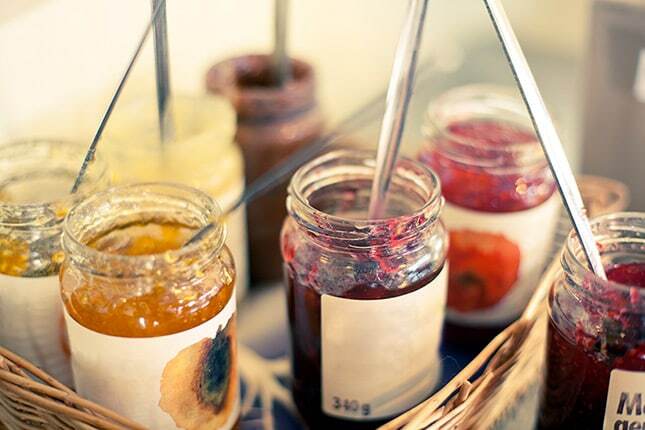 One of the most popular delicacies on the island features the fruit in a jam. Spread on toast, in trifles or as a pastry filling, after purchasing a jar of guava jam you can enjoy the exotic tastes of Grenada anywhere in the world. Despite the misleading name and appearance, “spice necklaces” from Grenada are not intended to make a fashion statement. Actually, they are not even intended to be worn around the neck. These “necklaces” are actually a string of aromatic native spices. They typically vary depending on the person who is crafting them; however, nutmeg, turmeric, cinnamon, bay leaves, and cloves are common inclusions. Locals hang them in their kitchens to add a pleasant scent and often slice off pieces of the spices for use in cooking when needed. The scent, paired with the many spices, makes spice necklaces a top souvenir in Grenada. Much like other Caribbean islands, Grenada also produces high-quality rum. Filled with spices and sweetened with natural sugar cane, rum connoisseurs are in for a treat. Those who are unfamiliar with Grenadian rum varieties can explore the flavor profiles of each on the Spice Garden, Westerhall and Rum Sampling excursion and purchase a bottle of their favorite to enjoy at home. Although shopping in Grenada is largely centered around spices and delicacies, if you are looking for an authentic, non-perishable gift, be sure to check out Grenadian batiks. 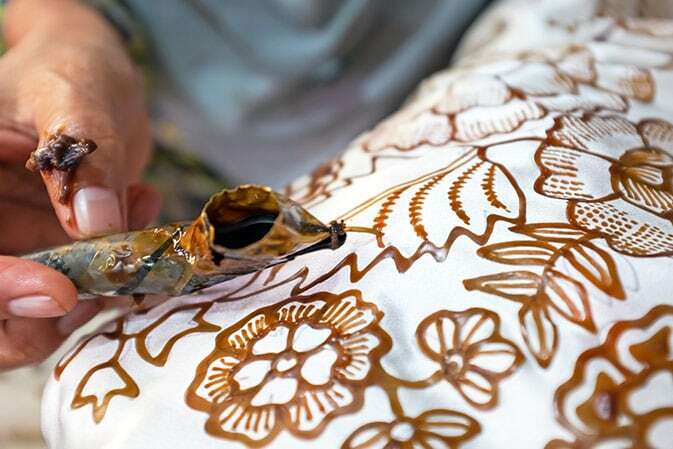 Originating in Indonesia, the locals have adopted the process of wax-dyeing fabrics. The end result is a plethora of brightly colored fabrics known as batiks. In Grenada, this style is incorporated into items like blankets, clothing and even art. Jewelry is an excellent souvenir, whether purchased for yourself or for a loved one. In Grenada, one of the most popular types of jewelry is made of coral. Locally sourced, the brightly colored coral reefs found near Grenada are transformed by local craftsmen into elegant pieces of jewelry. While necklaces are perhaps the most popular, you can also find coral rings and earrings to suit any style. Throughout the island, there are a number of shops with baskets full of local spices for sale. Many of these baskets are handwoven from palm fronds or straw by local Grenadians. 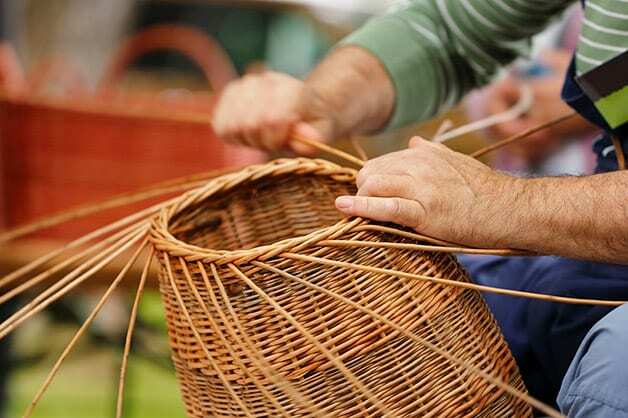 Both durable and exquisite, these handwoven baskets are excellent souvenirs. Whether you opt to buy an empty basket or one filled with aromatic spices, these baskets are perfect for display or storing all of your cruise mementos. While you are sure to find your own unique keepsakes or gifts as you explore Grenada, you simply can’t go wrong with one of the island’s most iconic souvenirs.